From the exchange graph you can see that the price went down and then quickly recovered. 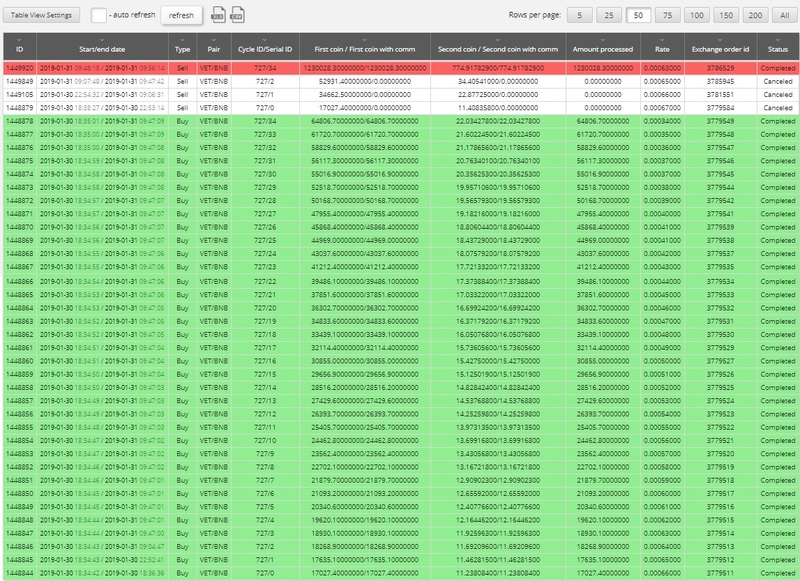 The bot completed the whole grid of orders (total buy for 561 BNB). Then bot fixed the profit and sold everything with a profit (total sell for 775 BNB). 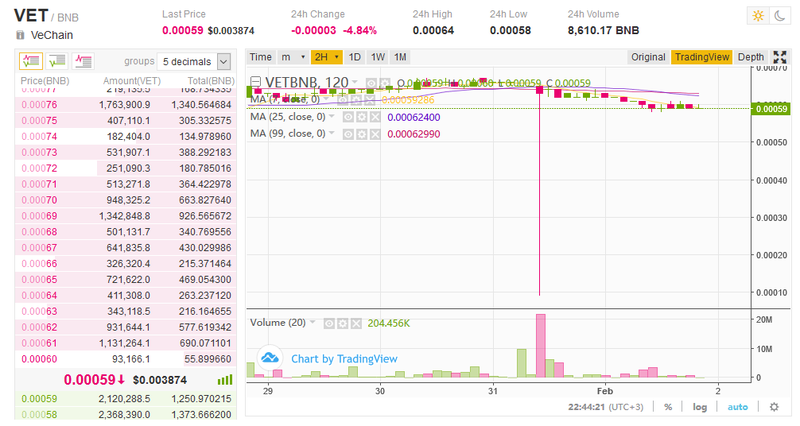 So, the bot earned 214 BNB or made +38% to deposit. 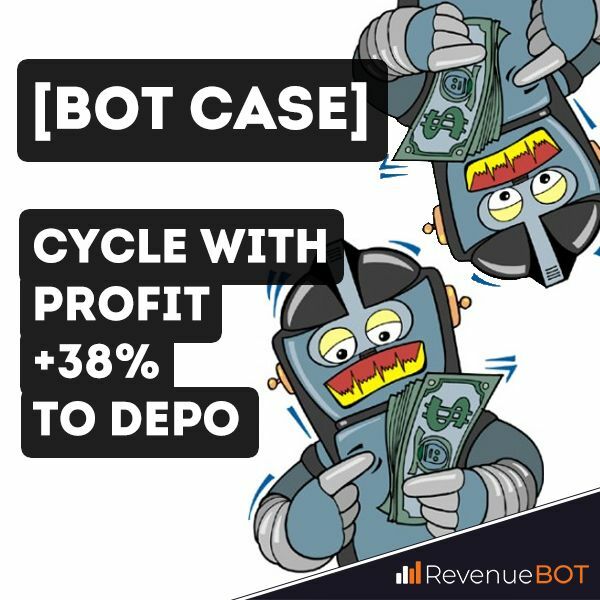 It should be noted that usually the bot calculates the rate of the last order which finishes cycle using “Profit %” setting (in most cases 0.7-1%). But in this case, the bot ignored “Profit %” setting and sold everything with the current price of the exchange, which was much more profitable.